These are the most common types of WIL placements. Students complete a 450 hour unpaid placement (full-time for 12 weeks (or a part time equivalent)). During this time students become fully integrated into the workplace and complete projects that demonstrate meaningful placement outcomes. Any part-time work must be work around the WIL placement. In some circumstances an industry host might be supportive of a student doing less than five days a week, but over a longer placement. Students completing an unpaid placement are fully covered by University insurance for the duration of their placement. This makes it far more likely that an organisation will be willing to host a student. Paid placements including scholarships, Summer Vacation programs and internships offered by large companies are accepted as WIL options (if they meet the 450 hour WIL requirement). 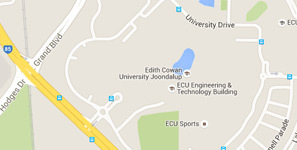 There are a number of paid scholarships available to ECU students and to all university students Australia wide. These opportunities are to be arranged and applied for by the student. They will not be arranged by the WIL Coordinator. Prior to applying it is recommended that you confirm with the School’s WIL coordinator that the opportunity is WIL compatible before applying. ECU’s WIL policy allows for students to do a WIL placement aligned to their full-time job. In the case of the WIL program run in the School of Science, students who are already working in industry and wish to align a WIL placement to that role, will need to demonstrate that the type and level of work they do is relevant to the degree they are studying. The assessment outcomes for the placement units will be contextualised from a ‘how WIL helped prepare me for industry’ approach to that of ‘how WIL helped me align my industry role to my course discipline knowledge’. Contact the School of Science WIL Coordinator to organise a meeting. Industry partners are eager and willing to host WIL students in unpaid 12 week placements. Student must submit a resume to the WIL Coordinator who will then connect a student with a host, an interview or meeting will be held between student and host and then the formal placement process will commence. This can often take some time, so the earlier a student starts speaking with their WIL Coordinator, the better. Apply for and receive a paid industry scholarship or vacation program. Early in your course get a feel for which types of organisations offer scholarships, the types of roles associated with scholarships and the criteria for applying. Once you successfully receive a scholarship that meets WIL requirements, contact your WIL coordinator for advice on the processes that need to be completed before your placement commences. Arrange your own placement. Join professional associations, go to their events, meet people, introduce yourself and inform people about what you are doing and what your strengths are. Contact companies directly, or join professional networks through LinkedIn. Explain what the WIL program involves, and that you are seeking to undertake an industry placement in your final semester. If they seem interested, then you can put them in touch with the WIL coordinator(s) who formally arrange the placement. This is a very common and very reasonable question, especially for students going out to an industry placement. The short answer to this is ‘it is up to you’. Each semester a varying number of students receive job offers directly from their industry host, regardless of whether that organisations is big or small. In most cases the organisation was probably not thinking of hiring a new staff member, but were so impressed with the potential shown by the WIL student that they were not willing to let that student go. Most host organisations do not directly hire, but the critical nature of WIL is that it can significantly shorten the gap between graduating from university and landing your first job. Feedback from our previous WIL students indicate that not only is the timeframe for job searching reduced, but successful WIL students are more likely to get the job they want as their first job. Are you reliable, approachable, a good communicator, work well with others, have a talent for learning and applying new things? Most industry hosts are looking at the potential a student can demonstrate, alongside their purely technical skills. Most organisations tell us that they expect to spend time training up new staff in terms of demonstrable technical capabilities, but they are less willing to take a risk on a potential employee who has not been able to demonstrate professionalism, communication, reliability and honesty. Who Do I Contact About Participating in the WIL Program? You will be directed to speak with the WIL Coordinator for your discipline area and if required, your course coordinator to ensure your course structure meets WIL requirements. If you meet WIL eligibility requirements you will work with your WIL Coordinator in an ongoing basis to discuss and prepare for placement opportunities.